Würth has many specialized Body Shop chemicals to help you get the job done right the first time. 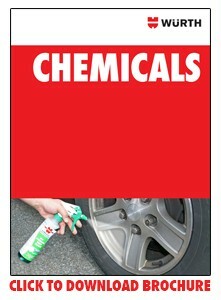 No matter what body job you've got, Würth has the chemicals you need. Our Hi-Build Underbody Seal is ideal for touch-ups, and our fast drying Sprayable Seam Sealer can quickly match OEM seams in most applications.